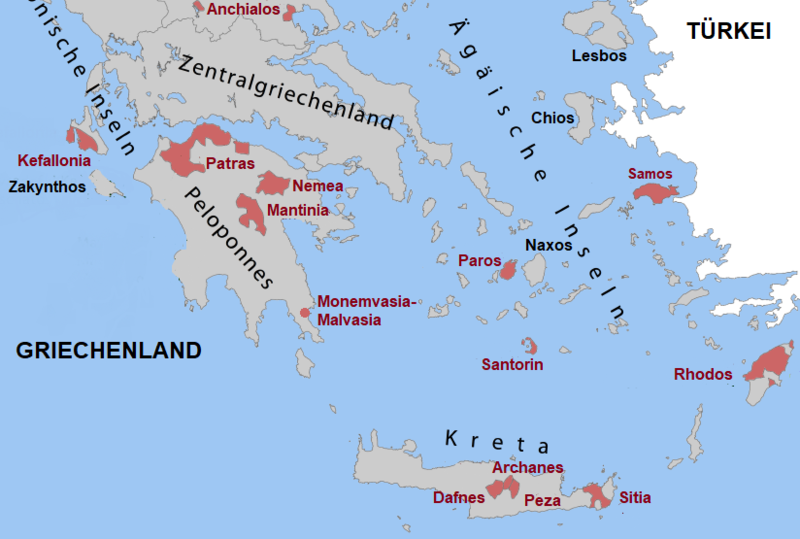 The nearly 200 km ² large Greek island in the Aegean west of Naxos is one of the Cyclades, Already in the antiquity There was a flourishing viticulture here. The Roman author Columella (1st century BC) mentions in his work "De re rustica" an important wine export to Rome, via the Umschlagplatz or port Monemvasia on the peninsula Peloponnese took place. On Paros there was never an infestation by the phylloxera, The vines are (as on the neighboring island Santorini ) in one as Kouloura described system in the form of wreaths to protect the inside growing grapes from the strong, sand-bearing winds. There is one POP wine in red and white. The red wine is made from the red Mandilaria (66%) and the white Monemvasia (33%) blended. This is the only POP red wine Greece where a white grape variety may be used. The white wine becomes unmixed won from Monemvasia. Two producers are Moraïtis and the Cooperative Paros. 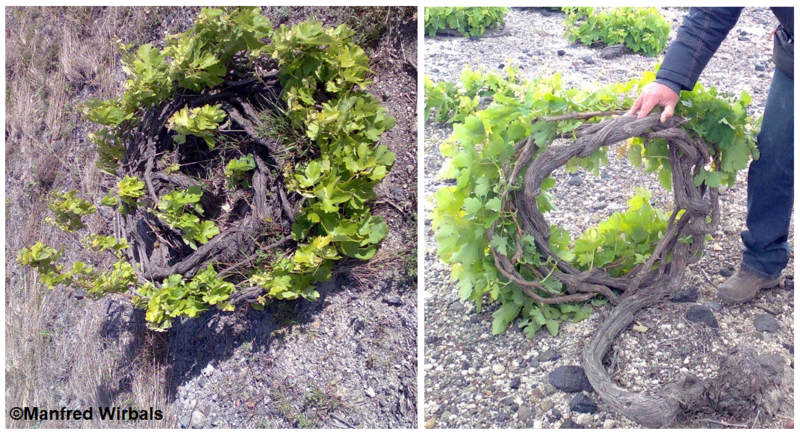 Also on the neighboring island Antiparos there is a viticulture. This page was last modified at 14 February 2018 at 20:29.